I recently saw Teen Titans GO to the Movies finally, it was decent-ish. The Lego Movie 2: The Second Part. It was definitely awesome. How was it? As good or better than the previous two? It was as good as the first 2 movies. I wouldn't say Hidden World is the best, but it ends on a good conclusion. I honestly am fine not seeing anymore installments in this franchise unless there's a good reason to. Dragon Ball Super: Broly and boy oh man was this a fantastic addition to the series. I highly recommend it to any and all Dragon Ball fans. 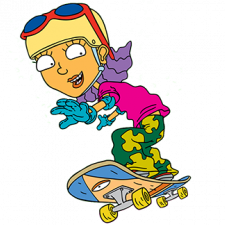 Before that it was Rocket Power: The Big Day. Justice League vs The Fatal Five, what an awesome throwback to the series, glad to see they got most of the original voice cast back considering the show's age.